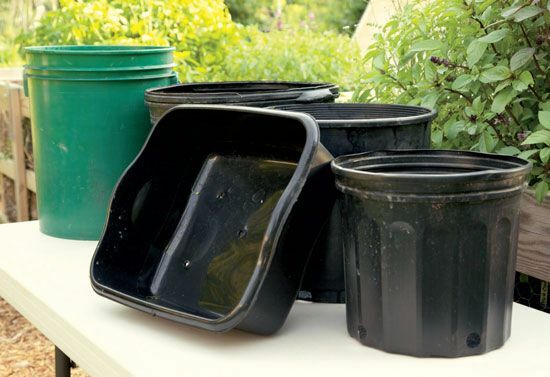 An important aspect of growing any plants in containers is using good-quality potting soil. 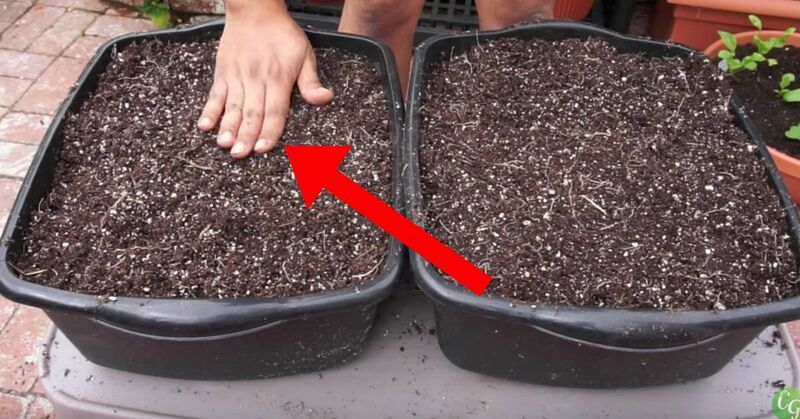 As tempting as it may be to dig up soil from the ground, avoid doing this; buy potting soil instead. It's made specifically for containers to be free of diseases and pathogens and will not compact like earthen soil does. Soil compaction means the roots struggle to grow the way they want to, so the plant can become stunted. 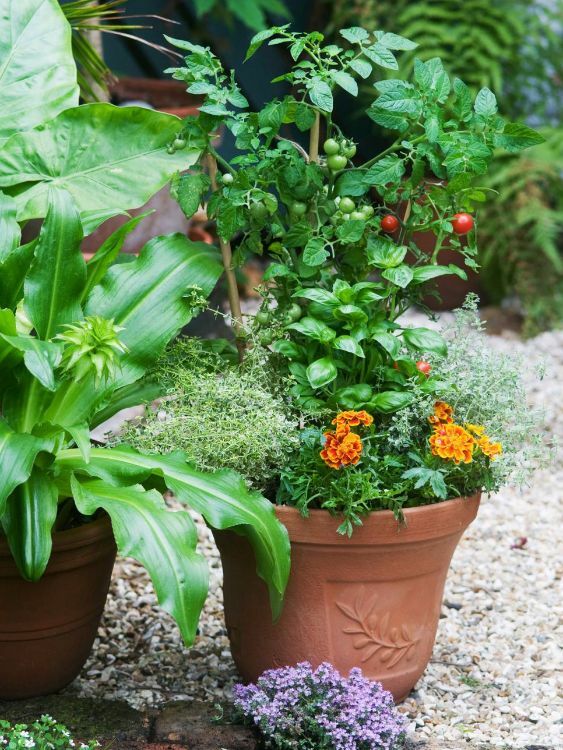 According to Bonnie Plants, a good potting soil is light, holds moisture and provides roots the ideal balance of air, moisture, nutrients and anchorage. To get the most out of limited real estate, it's wise to stick with plants that will give you the most bang for your buck. 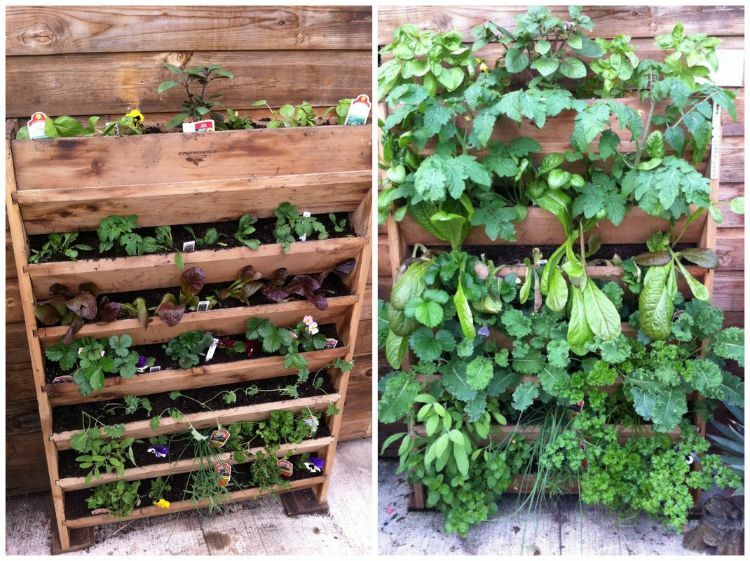 You want plants that yield as much as possible while only needing a small amount of growing space. 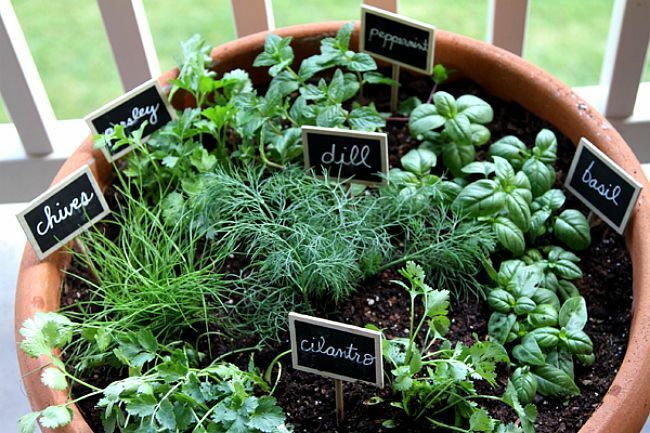 Common Sense Home has a list of plants that includes bush beans, lettuce, radishes and onions that will yield more in limited space than broccoli or cabbage that only has a single harvest per season. 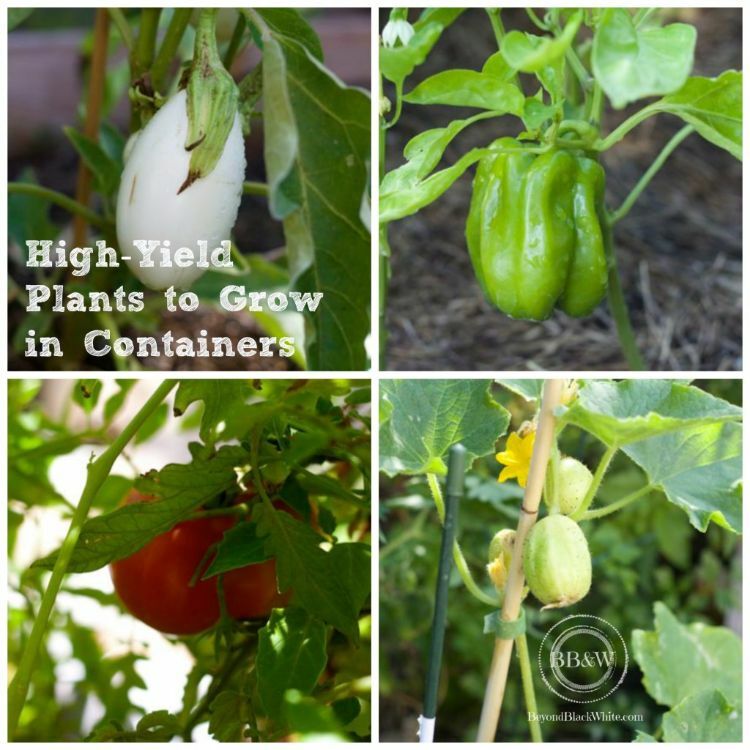 Some varieties of tomatoes grow well in containers, too. The garden center can provide recommendations on varieties that are shorter and may not need to be staked or supported.